We fabricate the Indian Slotted Angle Racks in various dimensions and designs and sizes. They are made through highly sophisticated engineering processes and are made using mild, HR and CR steel. They are long lived, robust and hardy in construction and they are economical in space utilization. They are widely used in showrooms, go downs, storage units, lofts in industrial sites and factories. 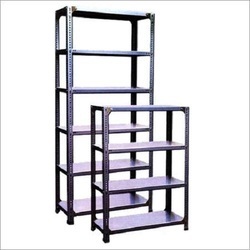 They are made according to customer specifications and we offer them at affordable prices.We are also known as Slotted angle racks manufacturers . 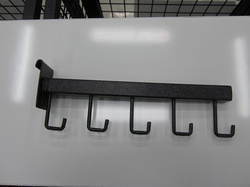 Our company is engaged in offering bulk of Slotted Angle Racks. We offer product as per the need of the application. The offered product is used in various industries and many more places for their high grade quality. Our product is highly recommended amongst the customers across the country for their long lasting life and durability.